In 2015, the FDA cleared the way for genetically engineered salmon — with technology pioneered by a company called AquaBounty — to enter the US food supply. This came after about twenty years of legal hurdles and it seemed like a final victory lap. That didn’t end up being the case; since then, Congressionally-mandated labeling requirements stymied its progress. Last week, in good news for AquaBounty — but bad news for people who have concerns about introducing a genetically engineered fish into our food supply — the FDA greenlit the company to start raising their GMO salmon eggs in America. American eaters can expect to see it in restaurants and ultimately grocery fish coolers in 2020. What’s the Problem with Genetically Engineered Salmon? The company and other pro-GMO folks, have tried to paint the concerns about so-called “frankenfish” as anti-science and fear-mongering. But, like other aspects of the GMO food debate, it’s more complicated than that. 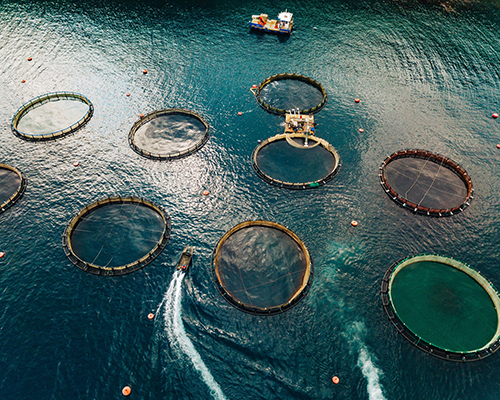 There are legitimate questions and concerns that haven’t been addressed, including that it is not uncommon for farmed fish to breach their nets and mix with wild populations. This article from a few years back, written after a farmed fish net breach, explains the issues quite well. The concerns about GMOs are not anti-science, just pro-smart science, powered by respect for waterways, indigenous fishing livelihoods and soil (in the case of GMO crops). And they reject the rhetoric of “feeding the world,” which can be used as an excuse to introduce technology largely destined to make a few large companies richer. Once free, these fish will enter a world where wild salmon are already in a precarious state. In this fragile environment, genetically engineered fish would compete with their wild counterparts for food and space, and could even potentially interbreed with them. They will also bring new diseases and cause changes to basic food webs and ecosystem processes that are difficult to anticipate. What Does this Mean for the Future of Food? This piece from a few years back explains really nicely why there needs to be room for thoughtful questioning and caution in the GMO food conversation.